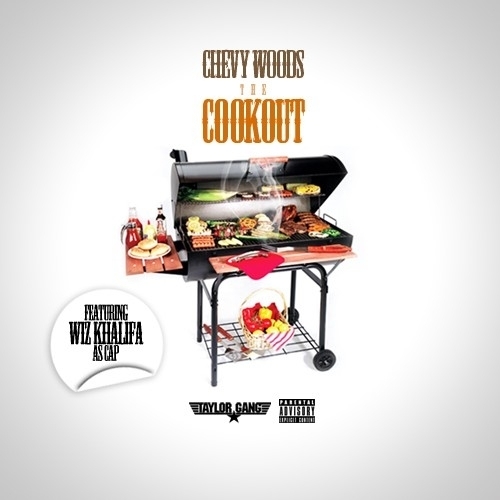 Taylor Gang's Chevy Woods has just released his second official mixtape, The Cookout. Chevy has a real old school and Pittsburgh sound, and on the dope beats his bars really ride out. He doesn't get much attention as Wiz Khalifa's right hand man, but he deserves it because his music goes hard. In a lot of each others tracks, they feature each other to bring the whole Taylor Gang into play, and on this mixtape, Wiz Khalifa appears on eight tracks. A good majority of the songs were also tied down with Pittsburgh roots with great production from 412's Sledgren, Cardo, ID Labs, & Big Jerm. This mixtape was highly anticipated and lived up to the hype, so check it out and I hope you all enjoy it.